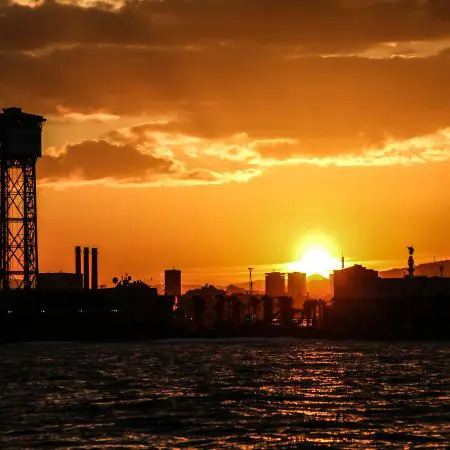 After a long day, relax with the beautiful view of Barcelona’s coast, rocked by the rhythm of the Mediterranean sea. 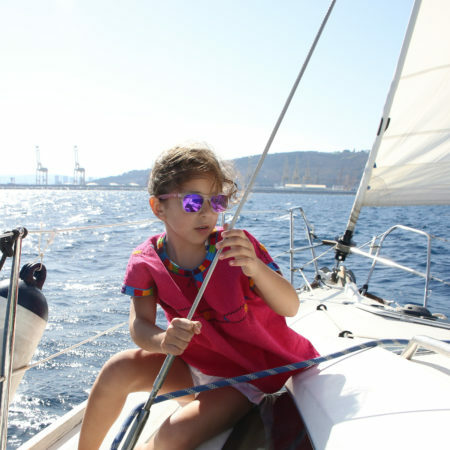 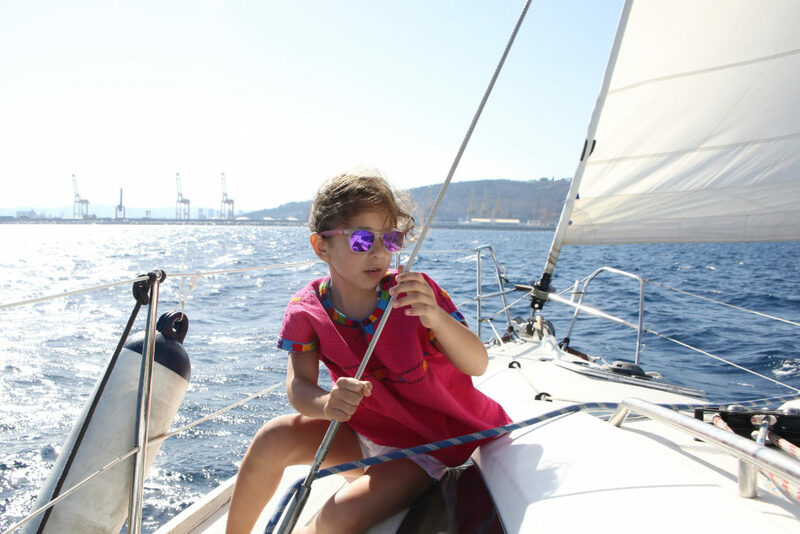 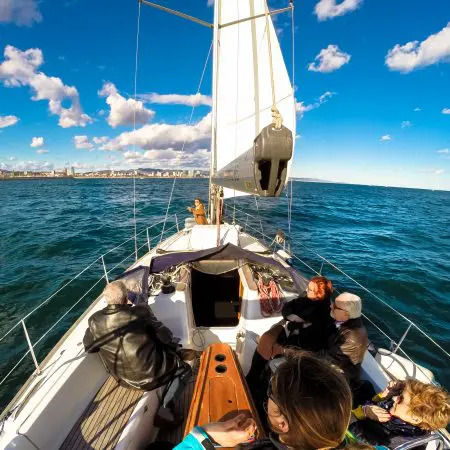 Let our professional skipper handle your sailing experience, or if you feel more adventurous learn how to sail with them. 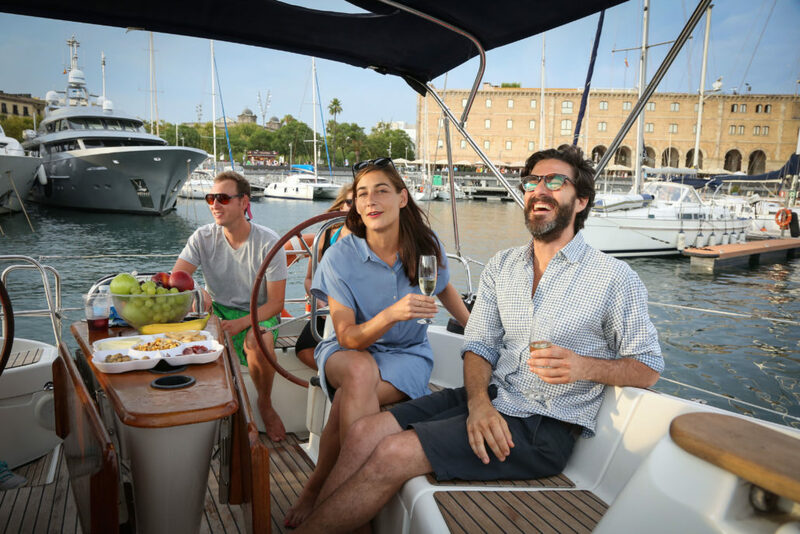 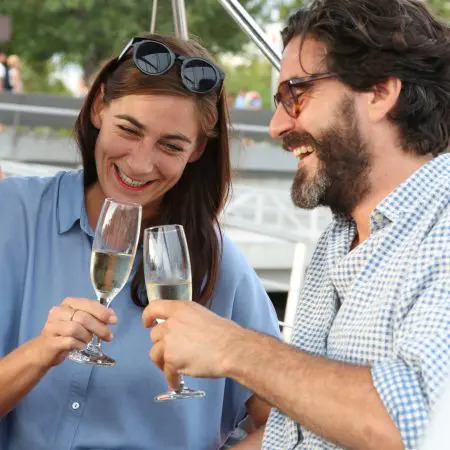 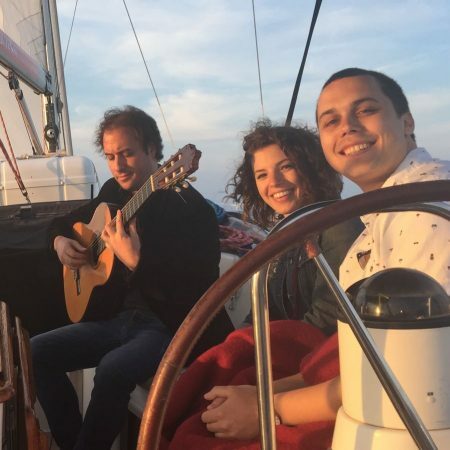 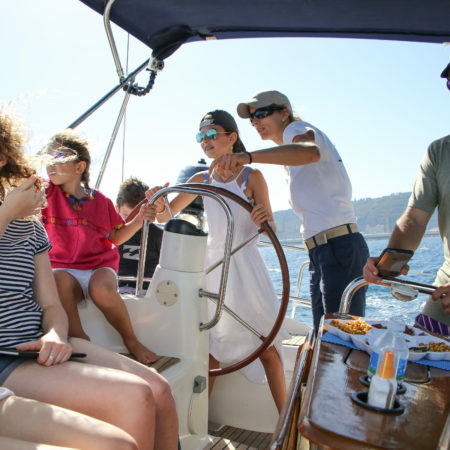 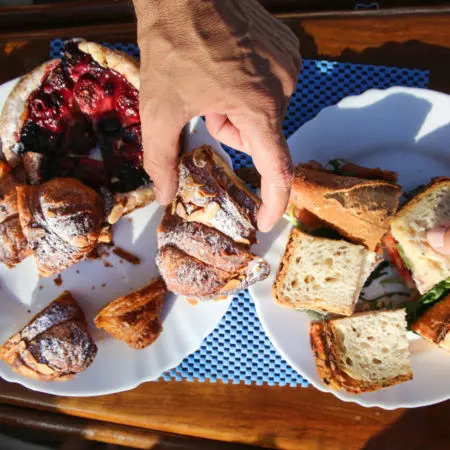 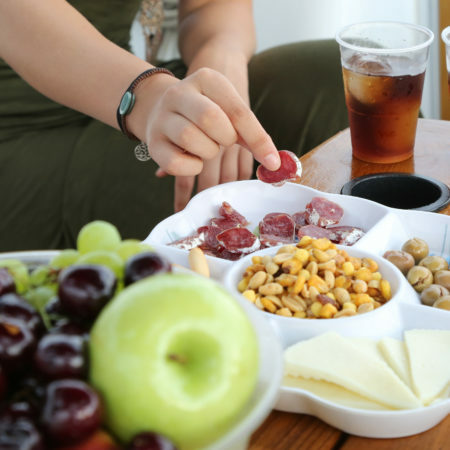 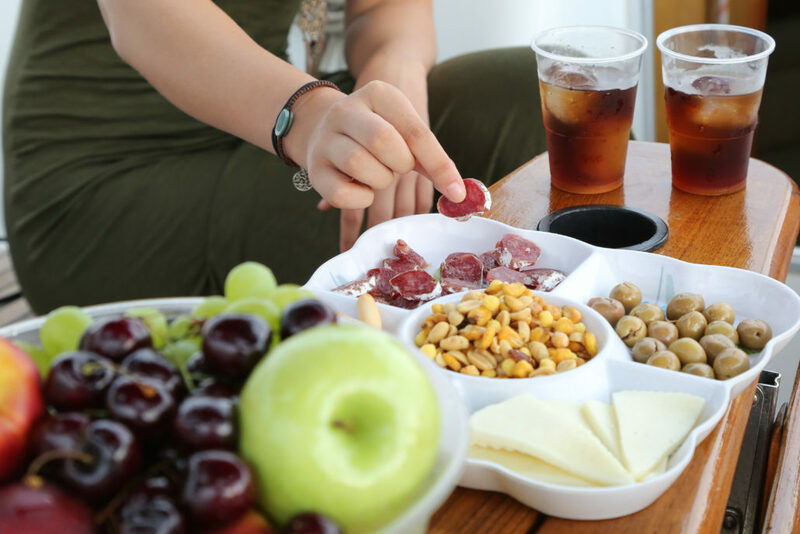 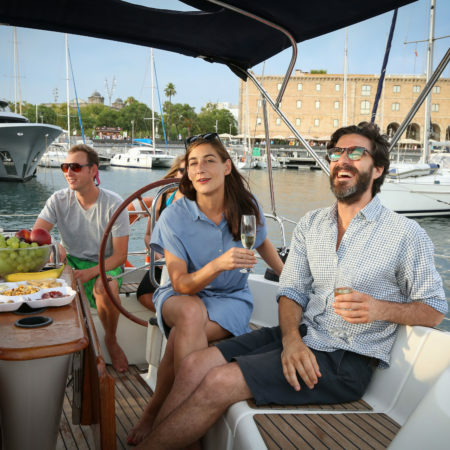 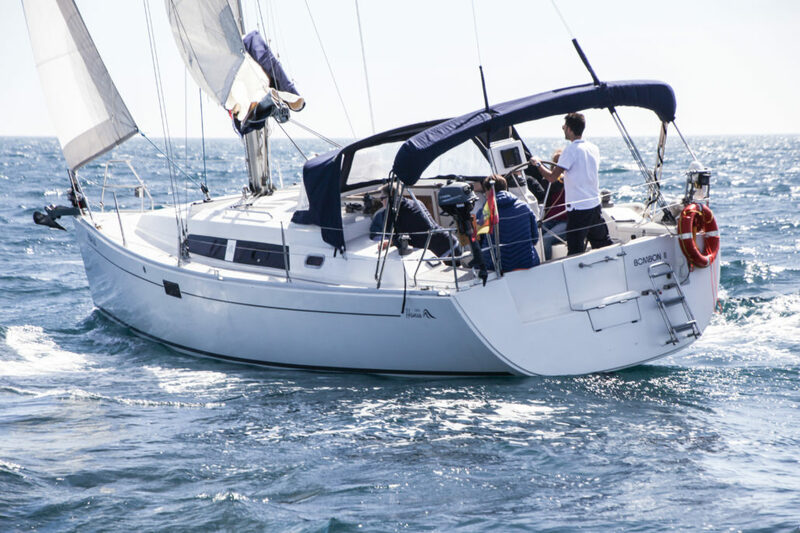 With snacks (olives, cheese, salami and crackers) and drinks (wine, beer, sangria and soft drinks) included, this sharing sailing yacht rental of up to 2 hours leaves every day from the exclusive Port Vell. 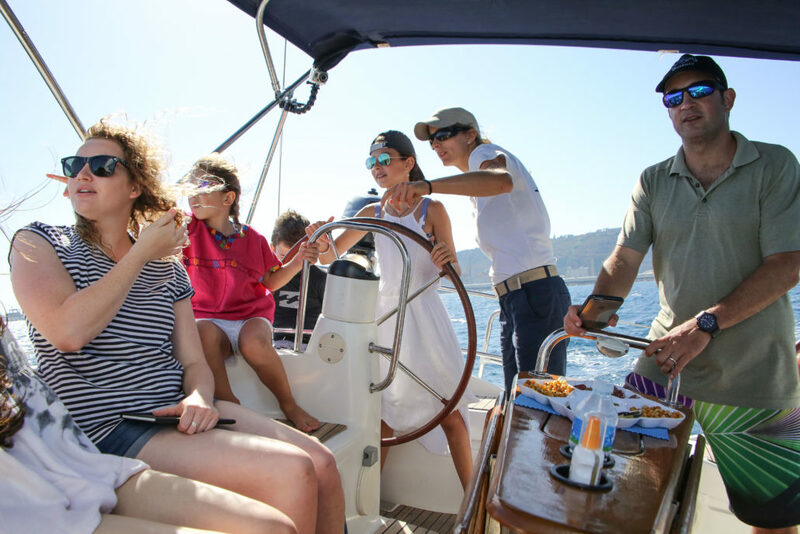 € 59,00 per person 1st of October to 31th of March. 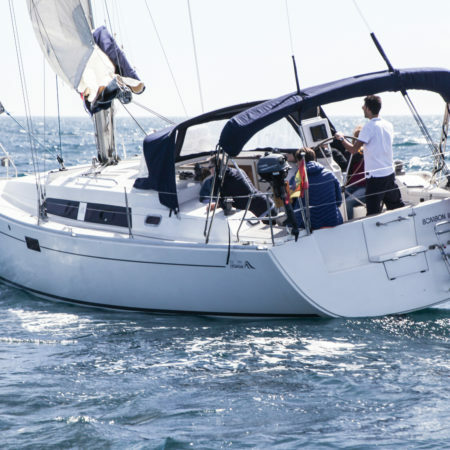 € 64,00 per person 1st of April to 30th of September.